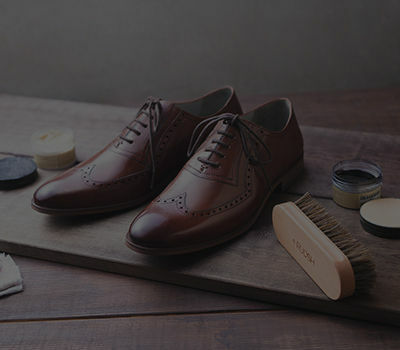 A refined, well-dressed look is complete only when shoes receive the respect and care they deserve. It is recommended not to use lumps of polish. Instead, apply a thin, even coat. Do not use on Suede and Nubuck, Patent/ Brush Off, Oil pull up & Non leather shoes. When used for two tone finishes ( Black or Tan), the leather's colour may darken temporarily, slowly retreating to its original shade on usage. Recommended usage of separate brushes for shoes of different colours. Always store with bristles facing up. of the shoe while sliding your feet in.